I have used Friction Free Shaving since 2016 and it has transformed my skin and the way I shave for the better. You may have read my first post about this subscription box back in 2016, fast forward two years and I am still religiously using the service and they now have new products too! So, I thought now would be a good time to do an updated post all about Friction Free and I am so excited to be working in collaboration with them on this post. 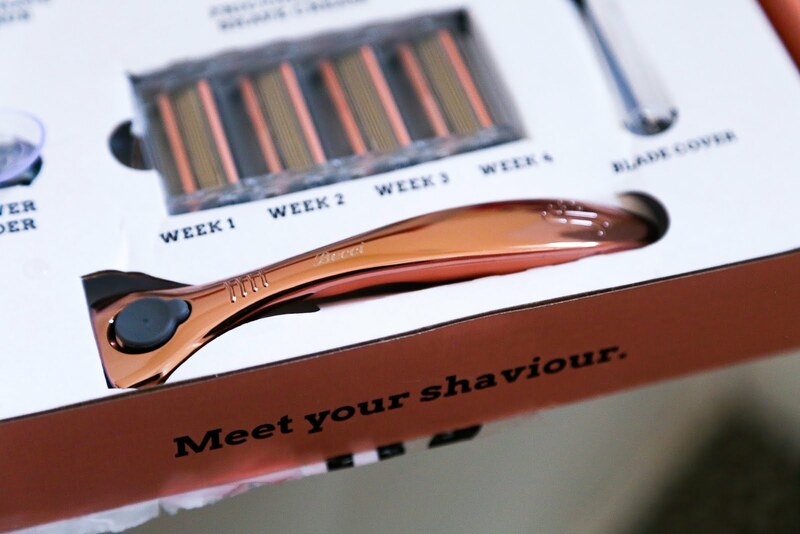 When you sign up for Friction Free Shaving (FFS), you can choose from two razors; Silvia (Silver) and Rose (Rose Gold). Once you have chosen your style, you then get 4 fresh blades delivered every month for you to change the head of your razor every single week, which I admit I was not very good at before I used FFS. It is so important to change your blades every week as bacteria builds up over time which then causes irritation to your skin. You can cancel your plan anytime or change it to every other month if you find you are not shaving as often. One of the new products is the gift box which was released this year, this is perfect for presents and it's great if you want to start using FFS as you get to try all the products! It is such good value for money and all the lotions will last you a few months so you will only need to replace the razor refills. The personalisation of the razors is also a new service FFS has bought in, which I think is SO cool. 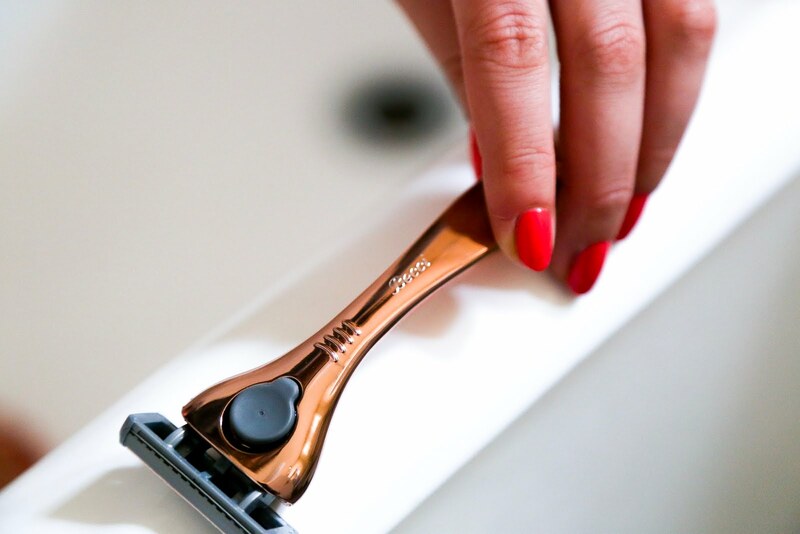 I mean, what's better than a rose gold razor with your name on it?! The cost of the service is £9 per month, which gets you the 4 razor refills and your first handle too! Like I said previously, you can also change it to every other month making it £4.50 a month. If you find you have a bit of a build-up of blades, you can also swap blades for a bottle of the Pre-Shave Scrub, Shaving Cream or Post-Shave Balm instead for one month. The Gift Box is a one-off payment of £32. FFS bought out the Shaving Cream back in 2016 but they have now added to the range with a Pre-Shave Scrub and a Post-Shave balm! The scrub is made from Manuka Honey, Almond Milk and Walnut Scrub which makes it naturally exfoliating. 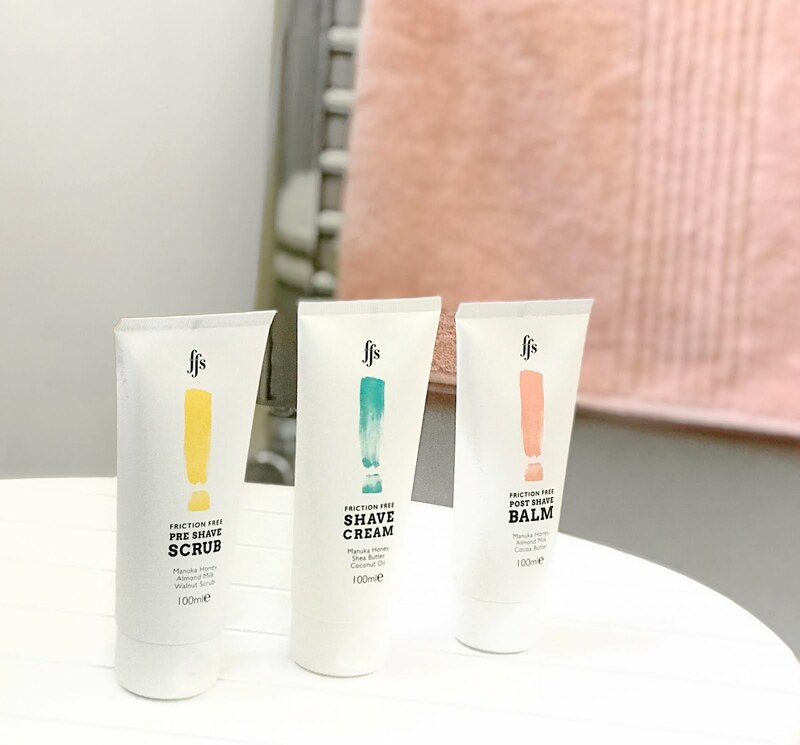 The Shave Balm is made from Manuka Honey, Shea Butter, and Coconut Oil so it helps the blade to glide smoothly and the Balm is made from Manuka Honey, Almond Milk and Cocoa Butter which is so hydrating to the skin after you have shaved. I absolutely love that they are all made of such natural ingredients and they really do make such a difference to my skin after I have shaved, no red bumps in sight! 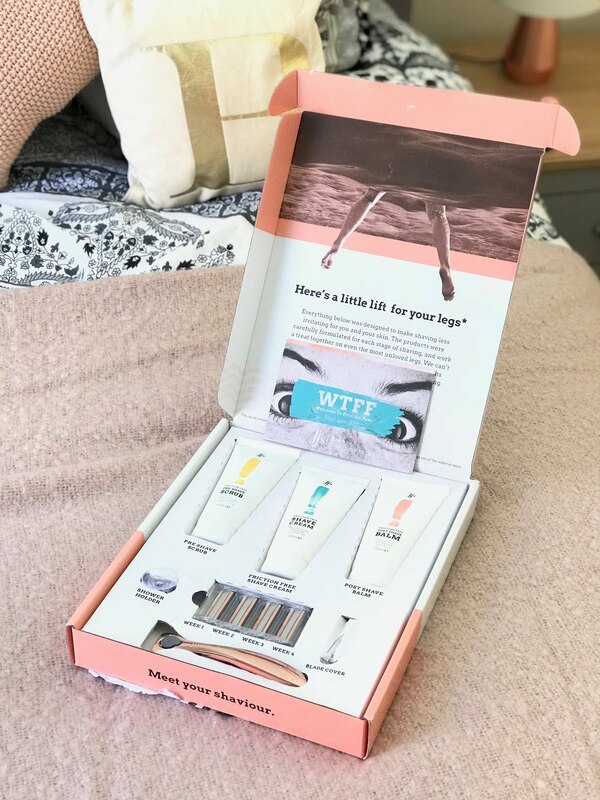 From their brilliant marketing to their fun packaging, I have loved FFS since I started using them and I will never go back to normal razors now I have used this subscription service! Friction Free are kindly giving anyone who subscribes through my link free engraving worth £6 - so, if you would like to sign up and see what it's all about, please click here! 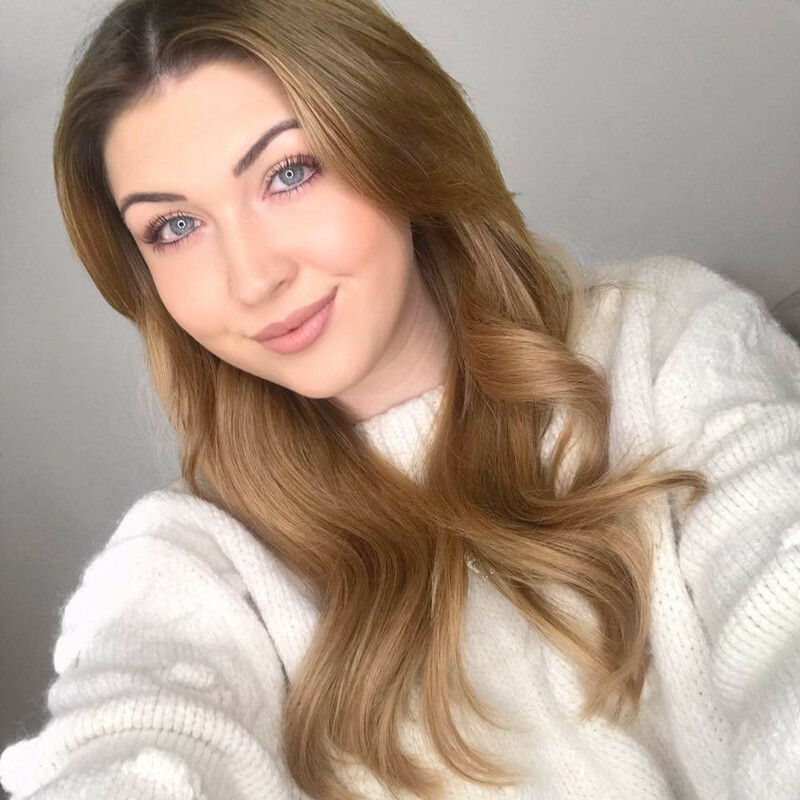 I hope I have covered everything you need to know, if you have any other queries please do leave a comment and I will get back to you! I would love to know if you have tried FFS and what you think too!